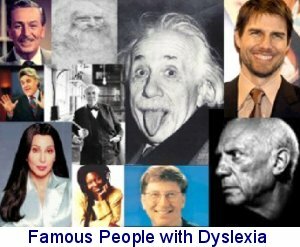 In my humble experience, over 90% of those children with Dyslexia are incredibly bright and intelligent. They simply need to be provided with the information they are being expected to learn and study with, in a format they can easily use and understand. Visual Learning and the use of video to deliver that information provides a solution that offers the child or student the choice of absorbing and processing that information by either watching or listening, or a combination thereof. And it is Visual Learning that will improve education for Dyslexia. Insisting that the education of a child or student with Dyslexia must involve reading, borders on the ridiculous. Sure the ability to read is important, I do not think anyone would dispute that, but insisting on using textbooks and printed materials to educate the dyslexic student is not too dissimilar to insisting that a child needs to learn a foreign language before they can learn anything else. The use of online video as a solution for educating the dyslexic student in the classroom or home also has a number of other significant benefits. It enables all children and students to learn at their own speed, which of course is so important to enabling each child to achieve their greatest individual potential. It is not an expensive solution that is only of benefit to those with dyslexia because the use of video as a educational tool benefits all children. Importantly it also enables the dyslexic student to study alongside their non-dyslexic peers in the classroom or home, without the need to segregate them into ‘special classes’ or ‘special schools’. In fact I sometimes wonder why on earth there is the need for ‘special schools’ to educate children with Dyslexia, when not only are they usually an extremely expensive and cost prohibitive option, they are also very few and far between, and the very act of segregating a child by sending them to what many may wrongly classify as being a ‘Special Needs’ school, can actually have a detrimental effect on the child. And all because the average teacher or school has a very limited knowledge of what Dyslexia is, and the simple ways to overcome and work with it. To learn and understand how Visual Learning and the use of curriculum-based online educational video is making significant inroads into helping to start improving education for Dyslexia, watch this video from Zane Education entitled ‘Online Learning for Children with Dyslexia‘. It’s particularly important to remember that countless famous ‘names’ in history have lived with Dyslexia and have gone onto become leading figures in politics and business that we as a society hold in high regard. C’mon teachers, schools and parents, Dyslexia is not a form of Leprosy and improving education for Dyslexia is too important. These are usually bright and intelligent kids. 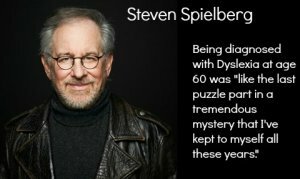 Let’s focus more on using the simple and inexpensive solutions to provide for the education of Dyslexia and Dyslexic students first, then afterwards spend time debating the causes and theories behind the ways to diagnose it. You should try interactive apps like MarkSharks that are designed to accommodate both visual and auditory learners through games and interactive exercises. Thank you for your comment and suggestion. We will investigate.